The riots in North Africa are getting a lot of coverage. This is good, because the problems in this region have been ignored for a long time. In 1987, I had bought a book “L’Europe Submergée – Sud-Nord dans 30 ans” by the late French economist Alfred Sauvy, the man who created the term Third World. His book was a description of the demographic differences between Europe and the nations from the South, and of the likely consequences. His prediction was by then that within 30 to 40 years, Europe would see a flow of immigration from the other side of the Mediterranean Sea that would replace the original European population. He also saw in this migration a great opportunity in terms of economic renewal for Europe. He certainly would have deserved the title of futurist! 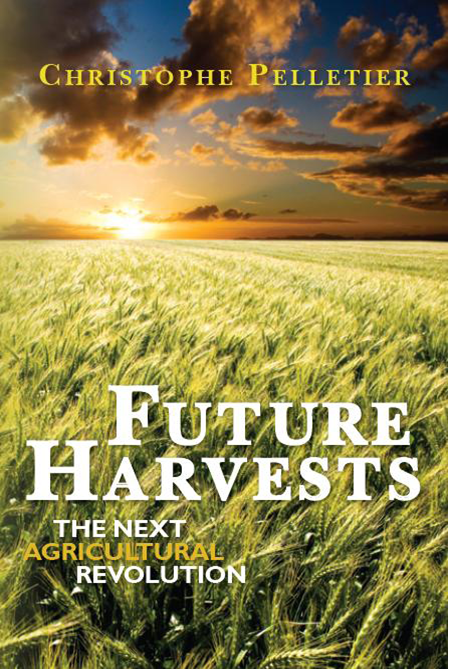 When I wrote Future Harvests, I dedicated a chapter on the changing demographics. It clearly appeared to me that he was right, and that the evolution of the population numbers between the different regions of the world will influence decisions about food production, food supply, and economies altogether. In Future Harvests, I indicate in which regions I think tensions would arise. The Arab world was number one on my list. Here is the map of the median age per country. The median age of a country is the age of half its population. Most of Arab countries have half their populations under 25. And what to think of Sub-Saharan Africa where that age is lower than 20? This is in sharp contrast with Western countries where almost half the population is older than 40. It was really striking to see the pictures of Tunisian rioters: there were teenagers. With a chronic unemployment, especially with the youth, reaching levels of 25%, and many people living on a pittance, riots erupting and governments being toppled are no surprises. This situation has been going on for a few decades. A new generation of people who see little hope and future is simply sending a message. Change must come or change will come. In the news, everything is mixed together and it may appear a little difficult to understand what causes Arab countries to flare up like this. Everyone speculates which country will be next. Of course, food is mentioned as one of the many causes, and I can read all sorts of opinions about that. From what I understand, the riots in Tunisia were caused by the arrest of a food street vendor for not having the proper license, which immediately cut his meagre source of income. After the success of the Tunisian upheaval, it is not surprising to see neighbouring countries with a similar demographic and similar dire economic situation following a similar path. Does this mean that there will be riots over the entire Arab world? Probably not all at once. It might not be successful everywhere, either. Other rulers in the region will make some moves, even symbolic ones, to defuse potential tensions. Both the Tunisian and Egyptian rulers are doing their best to defuse the tensions, and by resigning if this is what it will take to avoid complete chaos. The lesson is hard for Arab countries and they are now more aware than ever of the dangerous situation they are in. This is also a loud warning to the rich nations. However, at the Davos conference, the elite were not even aware of what was going on. Eventually, they heard it, and paid attention. Stock markets dropped for one day only as unrest was spreading in Egypt. Interestingly enough, markets were up on the days that a bomb exploded in Moscow’s airport and when Japan’s economic rating was downgraded by S&P. Certain things matter more than others. Europe must now realize that unless it helps its southern neighbours solve the problem, they are going to become a part of it. Yet, European countries seem to have trouble taking some clear position on the events. North Africa, just like the rest of Africa needs economic development. The people of these countries need to regain hope in the future. The generation that comes of age to leave the parents’ home and start, and support, their own families must see reasons why it will be possible for them. At this juncture, they doubt that they will be able to do so. In Future Harvests, I mention two regions with a demographic time bomb waiting for a food security problem to explode. One is the area between Russia and the former Central Asian Soviet republics, extended to Iran and Pakistan. The other one is the border between Mexico and the USA. Mexico is disintegrating and law and order are fading away. Both these regions are going to have to work together to find strategies to ensure stability. This probably will not happen without serious clashes. Many of the countries where booming demographics, poor economic situation and precarious food security are the normal state of affairs need a 21st century Marshall Plan. As I have presented in previous articles, the potential for feeding the world population is there, but the main cause of hunger is the lack of affordability of food. In 2008, there were food riots, but there was no real food shortage. The main problem was that the populations could not pay for it because the price had skyrocketed, especially the price of basic food staples such as rice, wheat and corn. This time, although according to the FAO, food prices are even higher than in 2008, we have not seen the same kind of riots. A reason for this difference may have been the fact that retail prices of food staples remained contained. So far. Some sort of Marshall Plan is a necessity. Development and stability is in the interest of rich countries, just as much as it is for developing countries. Europe, Russia and the USA cannot thrive with countries on the verge of complete collapse at their borders. If there has ever been a good investment, this would be it. It is interesting to look at the example of China. This hard-core communist country was on the verge of economic disaster and famine, until they decided to put the doctrine on the side, and open their doors to foreign investments. From the moment that China decided to feed its people, things changed. For the communist government, this was the only way to stay in power. A billion hungry, and angry, people are impossible to keep under control. For the capitalist “Satan”, it was convenient to present the Chinese “opening” as a victory of the aspiring capitalism, but mostly it was the greatest opportunity ever to reduce labour costs of consumer goods and boost corporate profits. Investing in China was not exactly like the Marshall Plan that rebuilt Europe, but the amount of money that flowed into the country helped turn around a bad situation into what soon will be the world’s first economy. While the middle class in Europe is stagnating at best, if not actually disappearing, China has grown its middle class to 300 million people (the whole US population) and it aims at increasing the number to 850 million by 2030. China is still (officially) a communist country with no elections, but that does not seem to bother too many people. Developing nations need money to flow into their economies to create jobs. Many people are asking whether we will see food riots again. Unfortunately, the answer is yes. Although there is much political talk about food prices and risks of riots, nothing is really done to prevent it from happening. It does not look like there is much political will to make the necessary reform to prevent extreme tensions. Most world forums of all sorts seem to be more of an opportunity for the wealthy and powerful to hobnob than a place where actual decisions are made. The WTO Doha Round, which if well completed can bring many solutions, takes for ever to come to a conclusion. It looks like reason and leadership are not prevailing much right now. It is highly likely that the world, and mostly the rich nations, will understand the message and act only when they will feel that their position is in danger, too. Food riots will come as soon as food affordability drops under an acceptable level of suffering. Of course, Asia, Latin America and Arab countries are the most likely candidates for such unrest, but rich countries are not immune to that, either. Especially the USA is more vulnerable that many may think. In 2009, the USDA estimate of households that do not have enough money to feed themselves was of 14.6%. Although the economy seems to have stabilized, it has not recovered yet. Moreover, the housing situation in the US is far from stabilized. Many Americans have been able to keep consuming somehow because they simply stopped paying their mortgages and could stay in their homes. The number of mortgage delinquencies is so high that banks cannot handle all the cases. Actually, most cases have been postponed, but one day some decisions will have to be made. If the banks played by the book and foreclosed all houses, the owners of which cannot pay the mortgages, it would result in an incredibly high number of homeless broke people. The banks would have to report serious losses. Today a report indicated that 11% of all American homes are empty. More foreclosures will increase this number further. How will these people manage to eat by then? Banks can decide to settle according to individual situations. There will be less broke homeless coming on the streets and the banks will have fewer losses. In a previous article, I had mentioned the risk of a decreasing dollar, especially the risk of inflation as financial markets play the commodities only to hedge against the loss of value of the dollar. Inflation in an economy that is stagnating will reduce the affordability of food for the less wealthy. Unemployment is staying rather high and I have not seen any report from anyone presenting a situation in which employment would increase in significant numbers any time soon. In 2008, Gerald Celente, a trend forecaster who predicted the 1987 stock market crash and the fall of the former Soviet Union, told that by 2012, America would have food riots, a tax rebellion, and even a revolution. At first, I was sceptical, but I am starting to wonder if he might be right. After all, during the food price hike of 2008, Americans were hoarding goods from the supermarkets. The food riots to come will finally force government to intervene and do what they are supposed to do, which is to ensure the stability and the viability of the society by setting the proper rules for the game. Especially, proper regulation on commodities markets and corporate near-monopolies will become crucial for social stability. The only unknown is the cost of our procrastination. This entry was posted on Monday, January 31st, 2011 at 4:03 pm and is filed under Economy, Food Security, Leadership, Policies & Politics. You can follow any responses to this entry through the RSS 2.0 feed. Both comments and pings are currently closed.